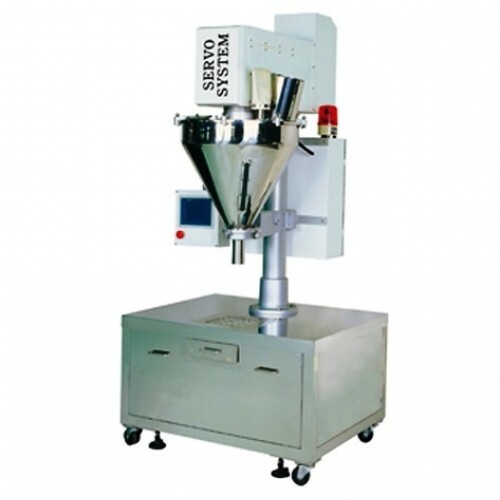 The Granular Filling Machine - CC-1002 is designed for filling and metering various powder and granular products, such as flour, crude sugar, seasoning flavor, salt, MSG, chemical powder and biological powder, etc. The Semi-auto Auger Type Powder Metering Filling Machine (Bench Model) - CC-1002 auger type metering filling machine is suitable for all types of free-flow and non free-flow powder and granular products. Loading capacity of material storage tank is 60L (Available to connect with a material supply system). 50 - 5000 g. Easy to change capacity by simply changing the auger.